← How’d I get in trouble when I was a kid? Do ya like bugs? Okay, I know it’s gross, but it’s just what we do at Christmas! And we’ve got givaways today! Guess What? Tonight at 6:30 PM Eastern Time I’ll be signing copies of “Tall Tales and Short Stories From South Jersey” at Audubon Library, 239 Oakland Avenue, Audubon, NJ. Stop on by if you are in the area! Wow! Today I’m just full of surprises! I’m actually posting here today, with some great memories of my own family Christmases growing up…. as well as other wonderful places you can visit! — And a book signing! Yes, I’ve taken up my marketing manager’s offer to clone me! (Mgr for Tall Tales and Short Stories from South Jersey) The process was a little scary, but yes! For the next twenty-four hours there are two of me! Also… you can find me at two great places on-line today! If you want to learn about training your dog to do amazing feats of bravery, check out my guest post about me and my pepped up poodle, Chloe on Brinda Berry’s blog. And… Tis the season for holiday fun! 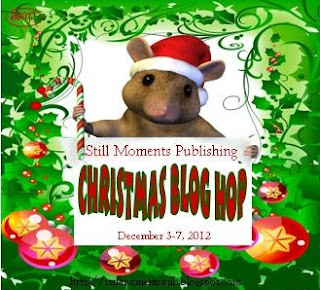 This is part of the Still Moments Publishing Christmas Blog hop! Hop on over to the Still Moments Publishing website for a list of contributing blogs for more chances to win! Whew! 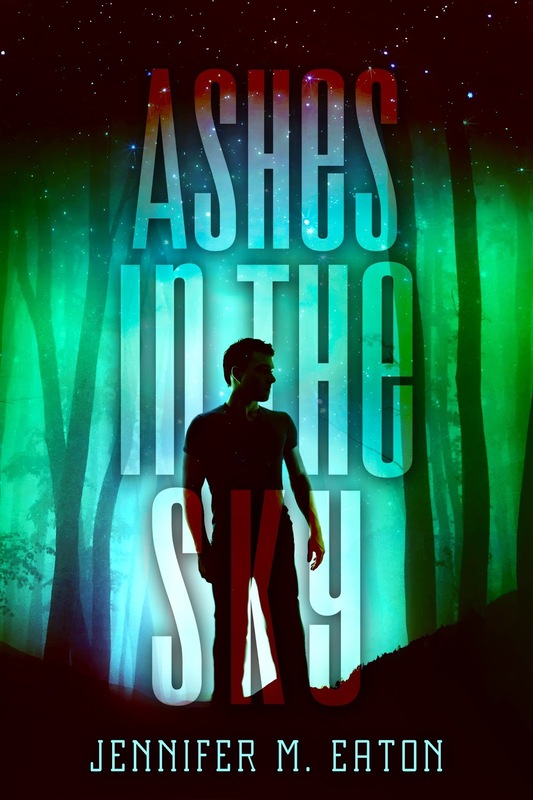 That’s a lot of promo-stuff… And I gotta post too! Oh! The pressure! Sooooo… Christmas. I have so many Christmas Memories, and I treasure all of them fondly. One of my favorites is making a gingerbread house. This was a Dad activity. I’m not sure why Mom didn’t get involved, but my dad was TOTALLY into it. This tradition actually carried on. (I’m not sure which came first) But Dad would always “build” the house for us out of graham crackers. Yep… just pop them out of a box. And yes, he glued it together with epoxy (which is like crazy glue). We all KNEW not to eat the house part. Then, of course, came the frosting glue, and more candy than any house could possibly hold. Our tradition was to try and make the house more hideous than it was the year before… but it still had to look like a house. Yeah… that’s where I got my strange sense of humor from. People would look at our “masterpiece” and pretend it was beautiful. It wasn’t. That’s the point. Today, when I build our gingerbread house with my kids, I don’t mind when the snowman falls over, or when Kid #2 leaves a trail of candy “poop” behind the reindeer. It’s all good fun. Oh, yeah, and that big gob of brown icing? It’s a dirt pile. Me and my boys will swear to it. (With incredibly large smiles on our faces) — Don’t tell their daddy what it really is. What odd but incredibly fun Christmas memory do you have? Brinda Berry’s blog – Writing a novel is like training your dog. Kaiden’s Seduction Review of Make Believe! 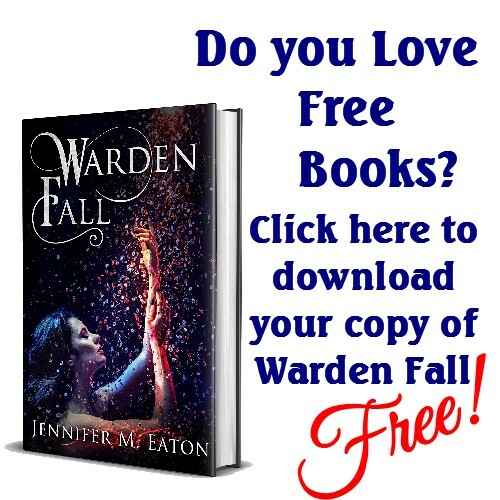 This entry was posted in Author Interview, Interviews, Senseless Ranting and tagged Christmas, Christmas and holiday season, Entertainment, Festival of Trees, Gingerbread, Holiday, Holidays, Opinion, Recreation, Santa Claus, South Jersey. Bookmark the permalink. Thanks! I’m thrilled with the reviews so far. I hope you enjoy the releases! Awesomesauce. Sounds like a great time! Your Dad sounds like a wonderful man. haha – I love it! My university roommates and I used to make gingerbread houses every year. It was a great procrastination technique! We would also end up eating too much of the icing. Every year! And this year (my third without them 😦 sad) I made my own and still ate too much of the icing. Oh, the pain…haha. Gotta love Christmas and overindulging on sweetness! You should invite them over for a house building party. It would be fun! I love library signings. Have a blast. And since you’re so busy–don’t forget to breathe. Enjoy all this happiness! I guess I’ll enjoy it when it’s all over. Waaaay too much going on! Busy, busy. What a Christmas present you’re getting this year! All I want for Christmas is to SLEEP! I’ve always wondered how they get those houses to stay together in the stores. Glue, who’d have thought! We always tried putting them together, but ended up eating more than anything else. I never did end up with one that really stayed together the right way. Oh well, it’s still fun to try! We do actually get them to stick together with the special hardening icing. I’ve never done the epoxy-thing in my own home. My youngest would forget and eat it. Hi Jen, I’d like to buy paperback copies of the anthologies. When will they be available? For the Love of Christmas may be out by this weekend in paperback. Believe, for the time being, is only in ebook. I once made the Wilton Gingerbread House Kit…It tasted horrible but it was fun to put together…then the kids crushed it. Yeah, they never taste good. Hi Jennifer! Just read your post at Brinda’s blog and loved your dog training analogy! It’s great to meet you and your stories sound excellent, looking forward to reading them! Thanks so much for stopping by! I hope you love the anthologies! Oh my! What a lot you have going on! I’ve never made a gingerbread house, not as a child, and not as a parent. I’ve always looked at them wistfully and thought about how I should try making one sometime, but so far that sometime has never come! Ya have to do it at least once. It’s easy now that you can buy a kit. I think I’ve only helped make one gingerbread house. We tend to make Reindeer cookies. Easy and disposable. You know…like we dispose of them cheerfully into our stomachs. I love the gingerbread house but I believe they were intentionally built to not turn out the way the pictures show them 🙂 It’s all part of the Christmas fun..thank you for sharing your story and reminding me that I need to get started on my own house. I know! My kids reminded me I hadn’t purchased one yet.